Are you NET qualified ? 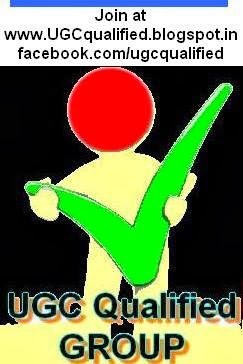 Are you qualified UGC NET ? NET/SLET/SET shall remain the minimum eligibility condition for recruitment and appointment of Assistant Professors in Universities / Colleges / Institutions. Provided, however, that candidates, who are or havebeen awarded Ph. D. degree in compliance of the “University Grants Commission(minimum standards and procedure for award of Ph.D. Degree), Regulations 2009, shallbe exempt from the requirement of the minimum eligibility condition of NET/SLET/SETfor recruitment and appointment of Assistant Professor or equivalent positions inUniversities / Colleges / Institutions”. In the appointments and selections NET expemted candidates getting more preference than NET qualified candidates. Because the NET exmpted persons forming groups and collecting court order for their benifit. The real qualified persons are not grouped and they are 'away' from oppertunities. So We are planing to create a group of NET qualified candidates.To support NET qualified candidates in all subjects, all over india. For the first step, we need to collect the contact details of NET qualified candidates, so you are requested to fill the following form and click the submit button. Also forward this to your NET qualified friends. If you are in court, answer "COURT 2012 June"
Do you know any Institution which selecting candidates "without NET" in the presence of NET qualified candidates?. Then give institutions name, department, district & state. A group for NET qualified candidates from all subjects and years. All UGC, NET qualified candidates are out from the appointments by bending the rules.